The Syrian government has asked the UN to send experts to investigate the alleged chemical attack in Idlib province, but the request remains unanswered due to pressure from US and other Western countries, Syrian president Bashar Assad told Sputnik in an exclusive interview. 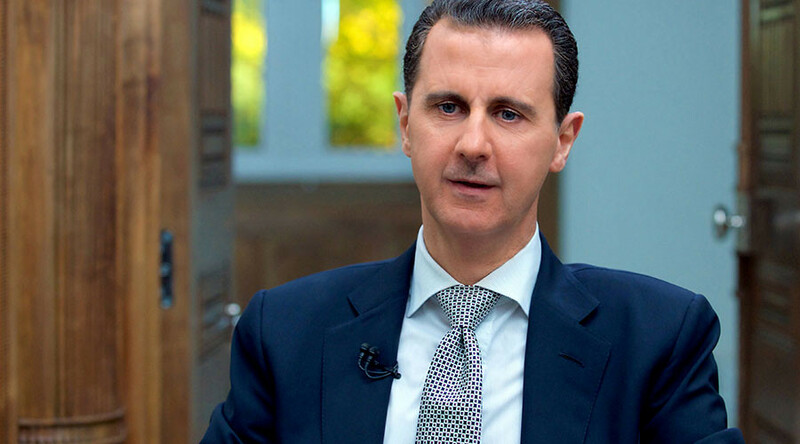 “We formally sent a letter to the United Nations, we asked them in that letter to send a delegation in order to investigate what happened in Khan Shaykhun,” Assad said. “Of course till this moment they didn't send (the experts), because the West and the US blocked any delegation from coming,” he added. “Now the only contact I think is between Russia and maybe the other countries in order to send that delegation. Till this moment, we didn't have any positive news regarding any delegation coming,” he added. On April 4, an alleged chemical attack killed dozens of people in the town of Khan Shaykhun in Syria’s Idlib province. Without any investigation carried out, the US labeled Assad’s government as perpetrators and fired a barrage of Tomahawk missiles at Shayrat airbase, which it said was the source of the attack. Russia has called for a thorough investigation of the chemical incident, which would include an on-site inspection in the rebel-held territory, before coming to any conclusions. “Actually, since the first attack a few years ago that happened in Aleppo by the terrorists against our army, we asked the United Nations to send investigation delegation in order to prove what we said about the terrorists having gases used against our army, and later many incidents happened in that way, and they didn't send any delegation. It's the same now,” Assad told Sputnik. Earlier this week, Organization for the Prohibition of Chemical Weapons (OPCW) said that it is identifying sarin in samples related to the April 5 incident. However, the watchdog never explained how it obtained the samples, as its experts have not visited Khan Shaykhun yet. 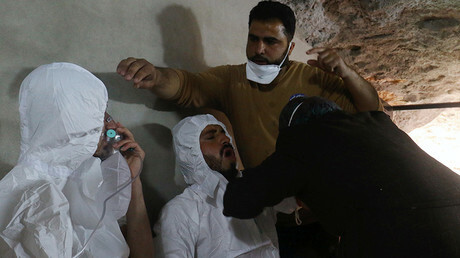 The Russian military questioned the swift analysis of the samples, saying the OPCW did not act with such speed in another incident in which a militant group reportedly used mustard gas in Aleppo. “Russian specialists on the site of the crime [in Aleppo] collected samples of the agent, which had been delivered to representatives of the OPCW and transported to the Hague. By the way, the Syrian leadership at the time offered safety guarantees and insisted that OPCW experts visit Aleppo, but nobody came,” Russian Defense Ministry spokesman Maj. Gen. Igor Konashenkov said Thursday. “Four months later the OPCW still cannot come to a conclusion and call the mustard gas found there mustard gas, saying additional analysis is necessary,” he added. Assad reiterated the Syrian stance that no chemical attack ever took place in Idlib. He acknowledged that the Syrian government carried out airstrikes against Syrian Al-Qaeda branch, the Nusra Front terrorists, in Khan Shaykhun on April 4, but stressed that no chemical weapons were used. The president pointed out that all the information about the Idlib incident the world currently has originates from the White Helmets group, which he called “humanitarian Al Qaeda,” that has a rich history of making fakes. “Their story said that the attack happened at 6:00, 6:30 in the morning. We didn't launch any attack at that time,” he said, adding that the Syrian planes bombed Khan Shaykhun at around noon. “We believe it was a false flag for one reason and a simple reason: if there was gas leakage or attack, and you're talking about 60 dead in that city, how could the city continue its life normally? They didn't evacuate the city. No-one left the city, life continued as normal,” which would be impossible if weapons of mass destruction were used, Assad said. According to the Syrian President, the US strike on Shayrat proved that their own claims of the airbase being the source of the chemicals were wrong. “They attacked Shayrat where they said there was the gas depots, and they attacked all the depots, and there was no gas coming out of that airport. No-one of our army officers or military staff, was affected by any gas,” he said. 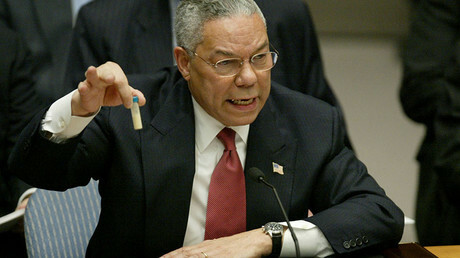 “So, for us, there was no gas attack and no gas depot, it was a false flag play just to justify the attack on the Shayrat base. That's what happened,” Assad added.